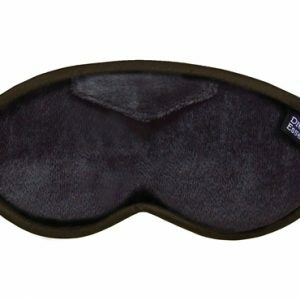 What are you looking for in a Sleep Mask? 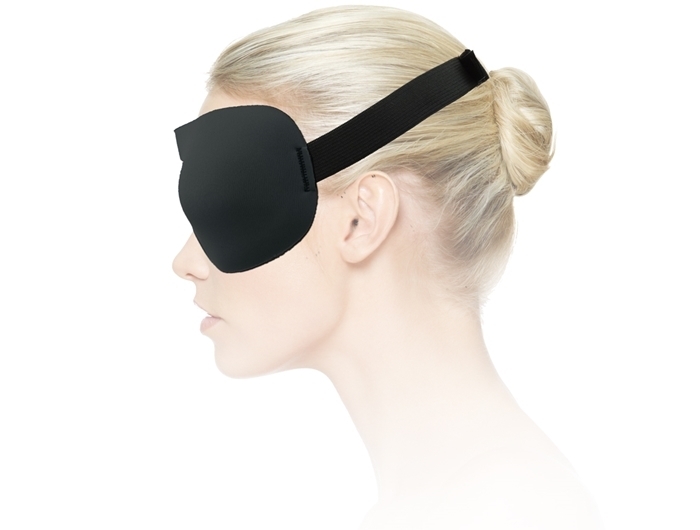 Want a sleep mask that fits perfectly to the shape of your face and provides ultimate comfort and total light blocking ability? Look no further! This super smooth and light sleep mask has been touted by many as the “best contoured sleep mask” around and it is easy to see why. The Contoured Sleep Mask sits so light on your face, as light as a feather, that you’ll hardly notice that you are wearing it. The contoured design allows the mask to sit well away from the eyes and eyelashes allowing you to comfortably open and close your eyes with ease. 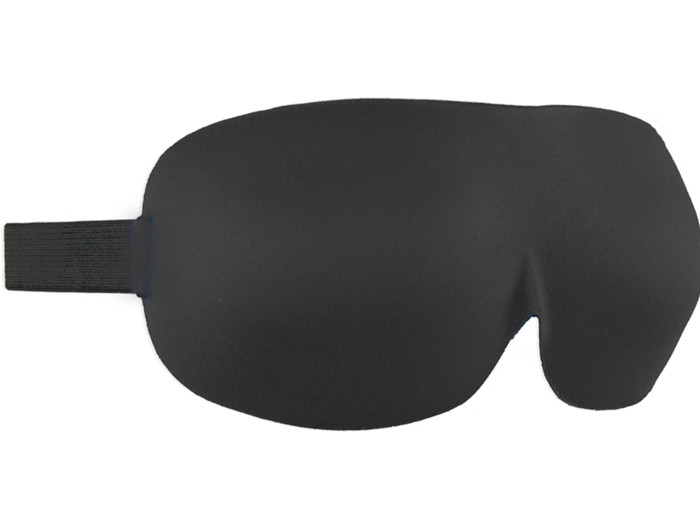 Looking for total relief from light for sleep or relaxation, the super light Contoured Sleep Mask is for you. Manufactured with a soft wide, fully adjustable velcro head strap. 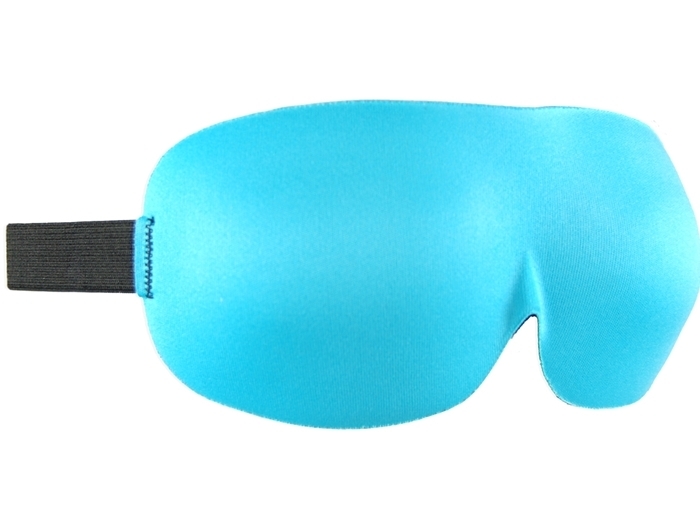 The thicker band ensures maximum comfort and safeguards the sleep mask from slipping off your face through the night. STYLISH DESIGN – Patent Design – Ideal for traveling BLOCKS ALL LIGHT – Completely! 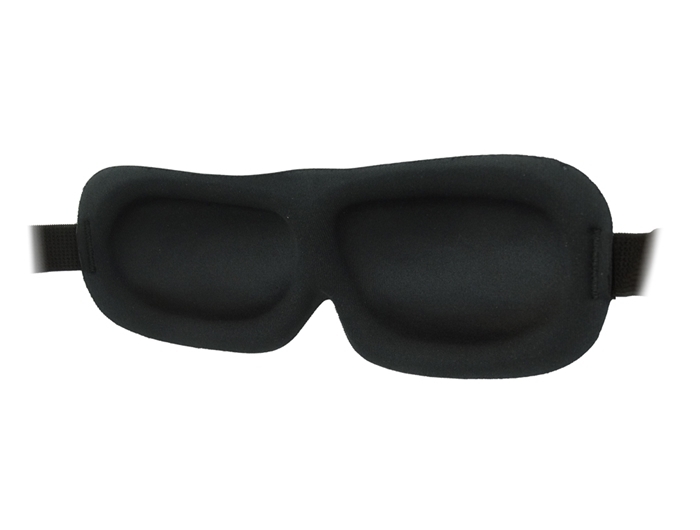 SOFT WIDE ADJUSTABLE BAND – Maintains the Sleep Mask stays put throughout the night. AWESOME CONTOURED SHAPE – Lots of room for the eyes and eyelashes to move freely. TRENDY NEW COLOUR – Available in Black& now Aqua! It has been formed to mold faultlessly around the shape of the eyes cut up and over the highest point of the bridge of the nose. For those that do not like the feel of a mask resting across the bridge of your nose this is the mask for you. People with a larger nose prefer the shape of this contoured mask as it forms the perfect shape close to the eyes and face, providing perfect block out. People with a larger nose find that this mask does not get pushed away from the face and the lower eye area like other masks can that form across the lower bridge of the nose area. Whether you are travelling near or far, the Contoured Sleep Masks is the perfect travel companion. 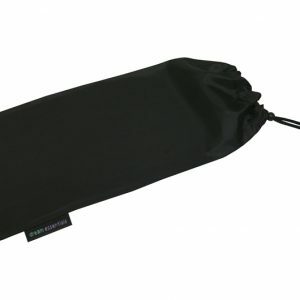 Its design is so thin and light it can easily be tucked into your carry on luggage or even in your pocket for easy access. The light moulded closed cell foam material that this mask has been shaped from ensures that your face is left mark free so that when you jump off the plane you can head straight to your meeting having to worry about embarassing indents on your face. The contoured design makes for the perfect mask for women when travelling to guarantee that your eye make up stays just where you want it! YES IT REALLY DOES BLOCK OUT THE LIGHT! This ultra smooth, super lightweight mask totally blocks out all light! This mask ticks all the right boxes not to mention the AWESOME PRICE, try it today! And it blocks out the light, everything you want in a good sleep mask I guess. I’ve tried both of the contoured masks and think they are great. I like this one the best as it has the nose cut out. They are light and they work. I am a nurse so getting to sleep for me through the day is difficult but also crucial. I particularly love how light this mask sits on my face, especially in the warmer months of weather we have. I couldn’t sleep without it. I would recommend this mask to others. I am impressed with the comfort of this mask and love that it doesn’t press on your eyes. I tend to move around a lot in my sleep from side to side, on my back and on my tummy and it stays on pretty well and doesn’t dig in or feel uncomfortable in any position. It does however leak some light around the sides of my nose as there’s no peak over the nose like some other masks. If it had that fixed it would definitely rate 5 stars. And as another review mentioned it does look rather like a mini bra but once it’s on who cares. Well made, light as air on your face while you sleep. Contoured shape means your eyes have no pressure from the mask which is lovely. Velcro adjustment on head elastic on back is too thick for comfort when sleeping on your back so I replaced the velcro with plain elastic. Otherwise very highly recommend. 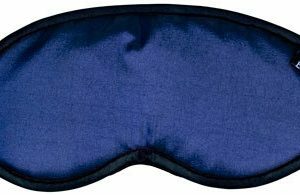 This is an excellent sleep mask, I’m very happy with it. The contour is just right.